A fuel distributor’s business revolves around delivering in-spec product to their customers, when they need it. Their customers expect fuel that meets specifications and doesn’t give them problems. That’s not too much to expect. But changes to today’s fuel can make this a challenge at times. A challenge that fuel distributors have to overcome or face losing credibility with their customer or, worse, being viewed as a cause of their problems. Today’s fuels are not what they used to be. When it comes from the refinery, it may be in-spec, but it’s also prone to developing microbe and water problems much more quickly than before. Bell Fuel & Tank Services (Bell FTS) offers the right tools and the right approach to support fuel distributors and help them reach their goals. The Bell FTS program works with fuel distributors to take a hybrid approach to keeping fuel and storage tank issues out of their hands, to ensure they stay fuel-problem-free and ready for business. 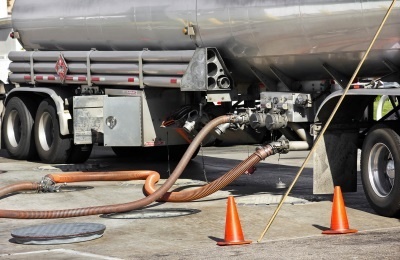 Fuel distributors stay problem-free with the best fuel treatment chemistries that prevent serious problems with microbes and MIC tank corrosion, ensuring their important customers stay problem-free as well. Bell Fuel & Tank Services also provides the best mechanical tank services and fuel problem mediation, to cover the elements of fuel health that fuel treatment chemicals can’t achieve. Just as importantly, both of these essential elements are supported by state-of-the-art testing and monitoring that ensure that fuel distributors know what’s going on with the condition of their tanks and the product that’s going out. This includes next-generation microbe detection testing that can give a fuel distributor critical information about microbial fuel contamination (or the potential thereof) which is impossible to know otherwise. This Fuel PM approach helps fuel distributors predict and head off problems instead of reacting to them. And this helps keep their customers problem-free as well.